A scene during the Peace Celebrations after the ending of the Second World War, possibly at May Day 1946. The location is by Providence Cottage, next to the ford on Rectory Lane. 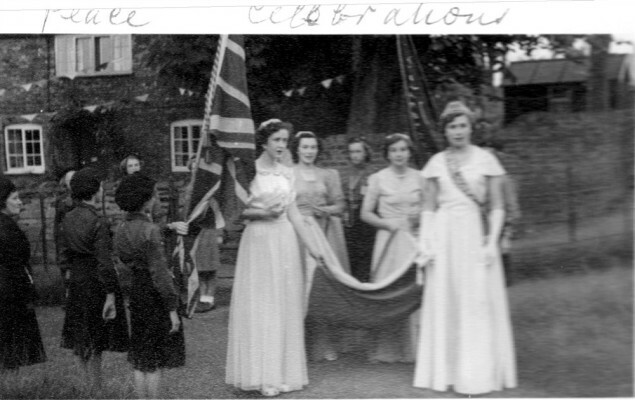 The May Queen on this occasion was Dorothy Calcraft.